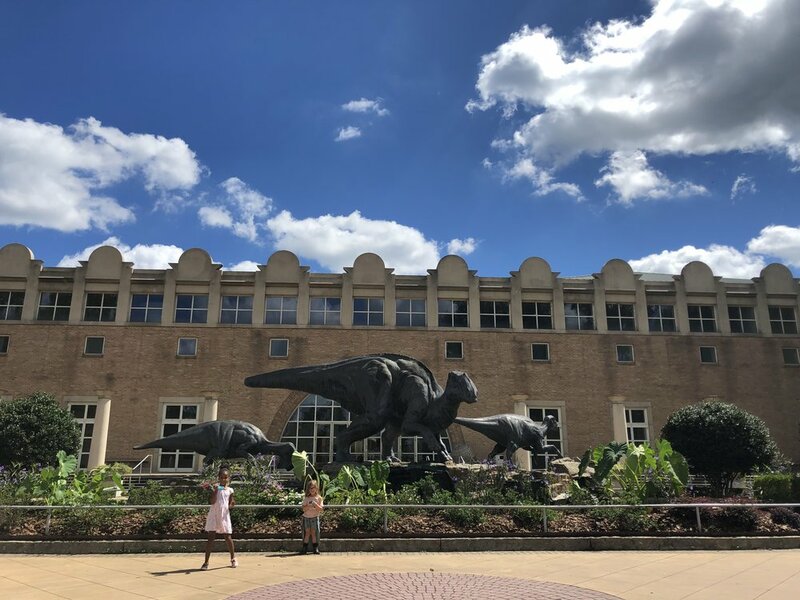 Why You NEED to visit the Fernbank Museum of Natural History in Atlanta, GA. We have lived in Atlanta for 10 months and I will be honest, I only discovered the Fernbank Museum of Natural History through my own Internet research when looking for new places to take the girls over fall break. And it took a rather deep dive into the search results to find it. I'm constantly asking people for new recommendations for places to visit in the Atlanta area and find that everyone recommends the same things: The Georgia Aquarium, World of Coke, and The Children’s Museum. While those are great places, there is so much more to do in Atlanta with kids than hang out around Centennial Park. 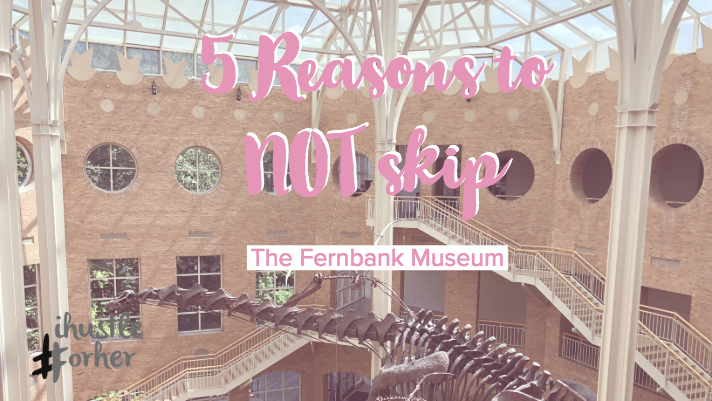 Here are a few reasons why you NEED to add the Fernbank to your list of Atlanta area places to visit with kids (of all ages). 1. The Entrance is Epic: The museum sits on a beautiful property in the Druid Hills neighborhood just on the outskirts of the city, so when you pull up the Museum is the only building you see. The entryway is awesome, featuring large dinosaur sculptures in front and making it an exciting visual when first pulling up. It reminded me of something out of a movie and the girls loved it! 2. Nature Quest: On the second floor, there is a children’s exhibit and play area called Nature Quest, designed for children ages 2-9 years. This exhibit is interactive and educational in so many ways! Both girls had a blast, and so did the baby. Among the many things to discover and explore are an under-the-sea section, a tree house, and so much more. I even crawled into the tree house lower level to play with the girls and couldn’t help thinking how awesome I would have thought this place was when I was their age. 3. It’s not just indoors: Unlike most natural history museums, the Fernbank, has an amazing outdoor space they call the Wilderness. The Wilderness is canopy-covered walkways with beautiful wood sculptures and fun multilevel play area for older kids to climb and explore. When you are done walking the beautiful pathways and taking in the views, there is a space for the younger kids to play and learn. They have an entire playground with a fun waterfall area including an interactive educational component and play structure for smaller preschool and elementary aged children. 4. One word — Dinosaurs: What kid, young and old, doesn’t love dinosaurs? The Museum itself is housed in one building that is three stories high. When you walk past the entrance, it opens to a large space with two huge dinosaur skeletons. This view wowed my oldest daughter who is in preschool and our neighborhood friend, a first grader. I think we can all agree that these prehistoric creatures are exciting for everyone. They also have an exhibit with more dinosaur fun and a life-size T-Rex. Overall, we loved the Fernbank and cannot wait to go back and explore even more of what they have to offer throughout the year. 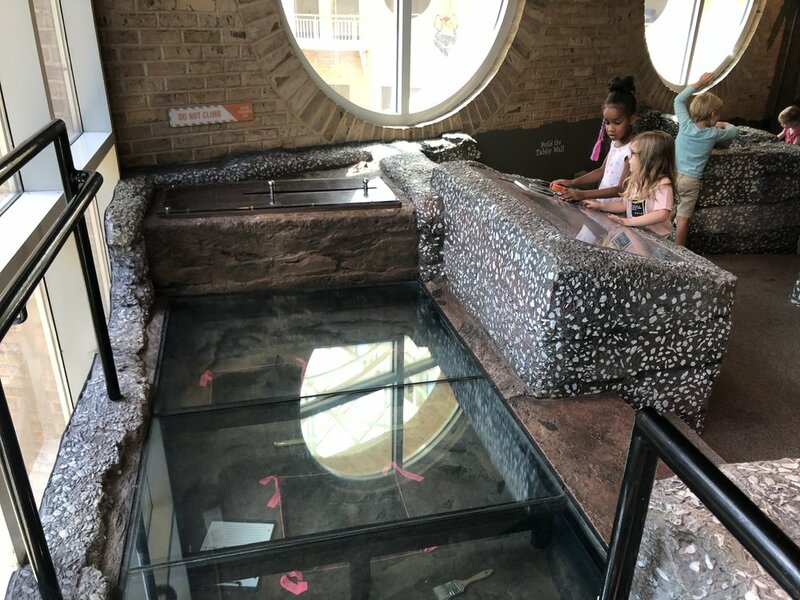 If you live in the Atlanta area or are planning a trip into town with your children, make sure to add the Fernbank Natural History Museum to your list of things to do. You won’t be sorry you did. Go on a day with nice weather so you can enjoy the outdoor space. Pack a lunch. They have a nice café where you can buy food, but it is pricey and they allow you to bring in food. Get an annual pass to save on admission if you are local because you will want to come back! Visit on a weekday if possible as there will be less of a crowd.